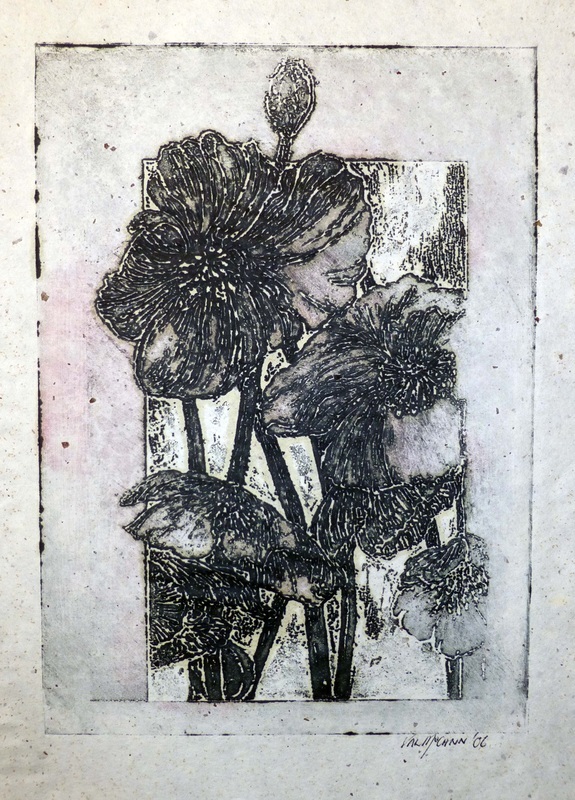 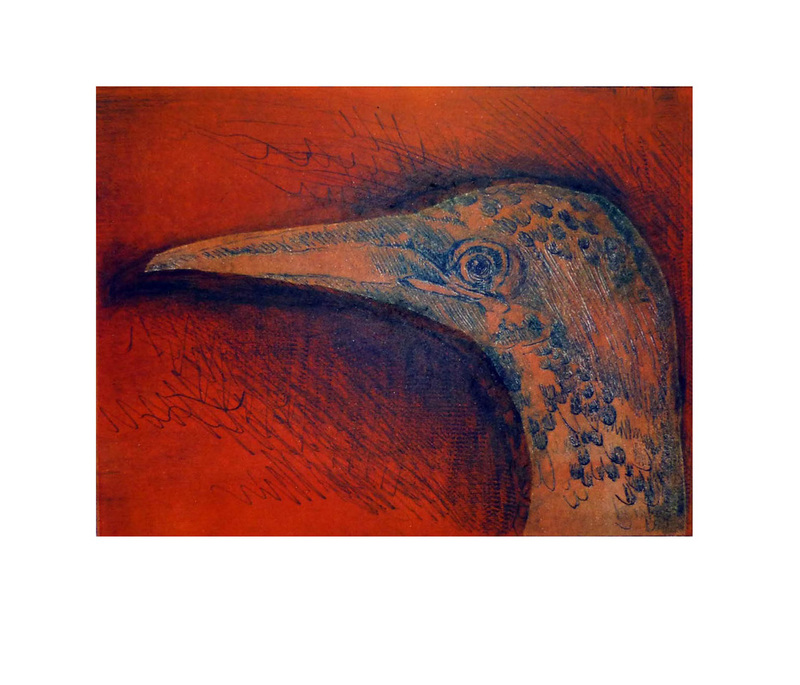 I mainly work with plastic sheets and fine incising needles to create printing blocks. 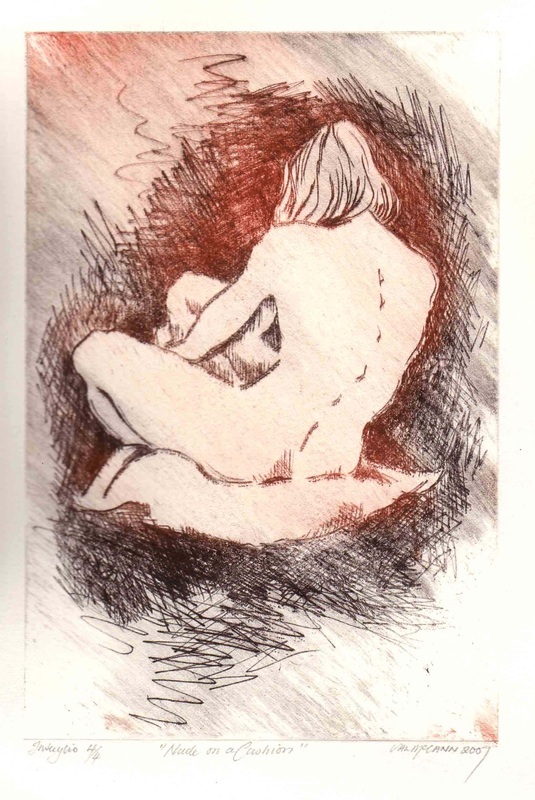 I use "a la poupee" inking methods and I like to show the directional wiping marks. 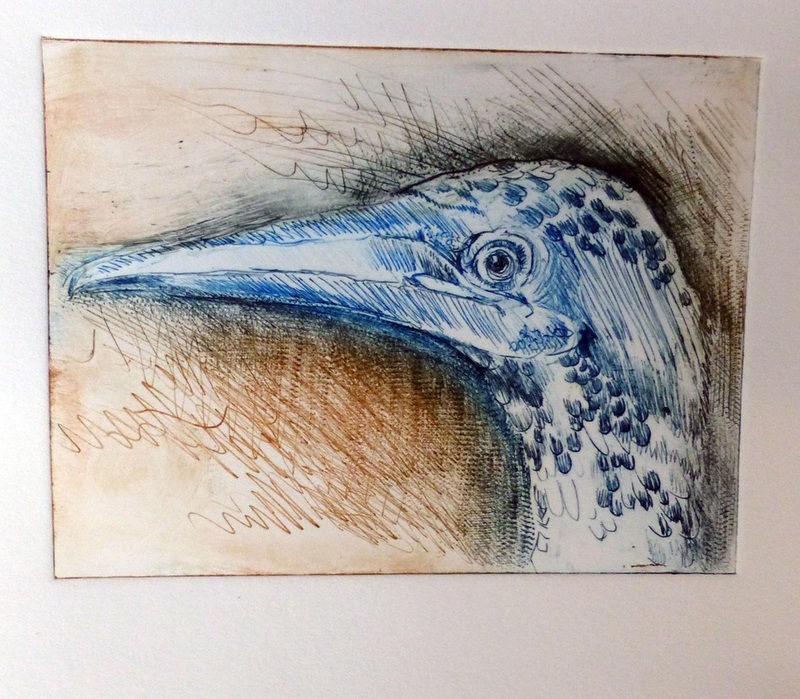 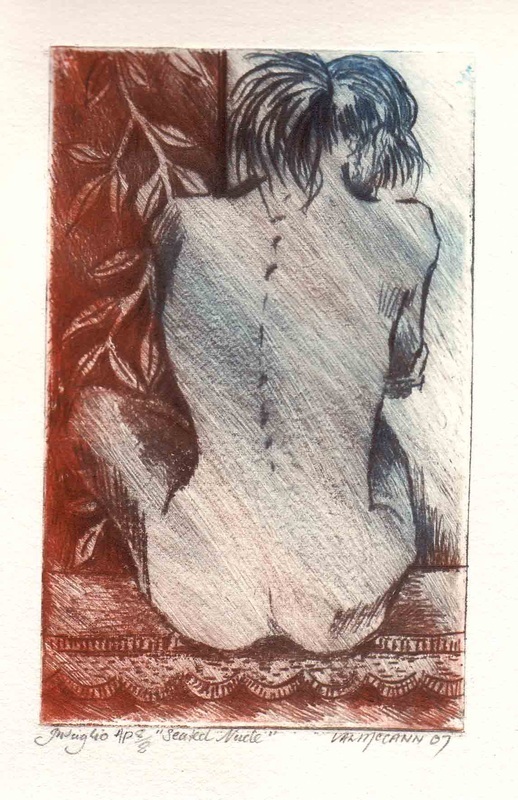 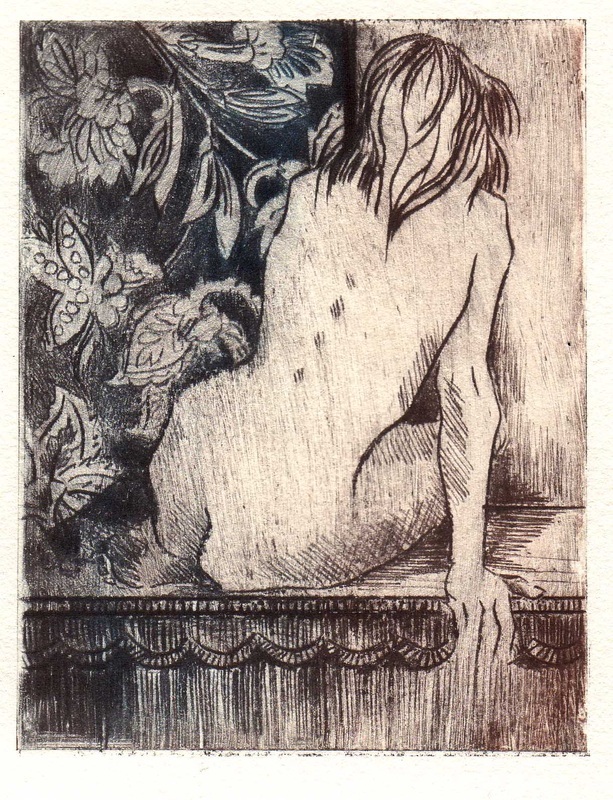 Two Plate Intaglio - "Booby"